TecArc forms part of the Technical Arc company founded in 1992. Technical Arc have evolved as a manufacturer, from a welding equipment repair centre and parts wholesaler. Renowned for their technical abilities and production of well made British equipment, Technical Arc have even produced equipment for brands such as Oerlikon. Based in York, this very British company supply equipment across the world and provide comprehensive support to their customers, utilising their experienced technical team. Such is TecArcs customer service, that they guarantee 100% backup with parts and service for a minimum of 15 or 20 years on their industrial machines and 10 years, even on their smaller sets. 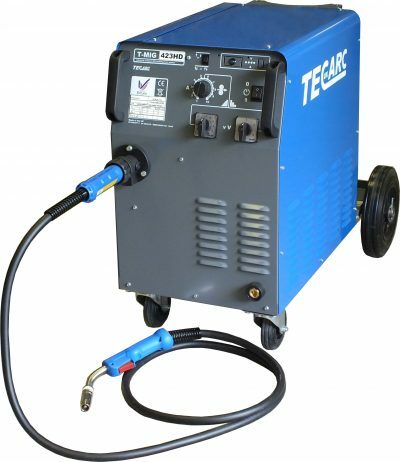 Manufacturers of TecArc, Portamig and Oxford welding and cutting machines, Technical Arc are a great British alternative to the big names and at great prices too. TecArc machines are bespoke pieces of equipment. Design your machine to a spec that suits you – upgrade duty cycles, have longer interconnecting cables, digital read outs etc. Once ordered your machine will be hand assembled by the TecArc team, before being sent to you. Inverter range – Smaller in size than the transformer based alternatives, these machines are well suited to on site work. Built from qood quality components and built to withstand small drops etc. 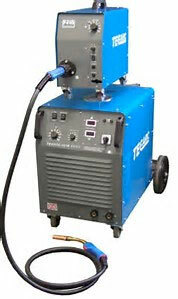 MMA and TIG welding, as well as plasma cutting inverters. All TecArc inverters are supported by the Technical Arc guarantee of parts and service backup for a minimum of 10 years after purchase. 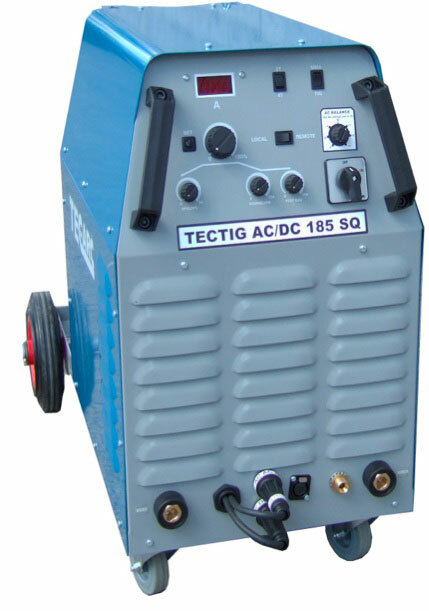 Professional MIG – Very popular range of compact, single phase MIG welders featuring torch euro connections and 15kg wire spool capacity. An option to upgrade to 4 roll wire feeder make these MIG machines a good choice for light fabrication and workshop work. Transformer based, these welding sets are built to be rugged and withstand hard working conditions. TecArc guarantee a backup of spares and service for a minimum of 20 years. 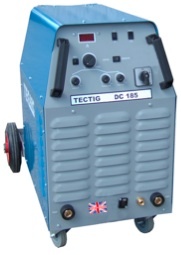 Industrial MIG – Available as a compact MIG welder or with separate wire feed unit. 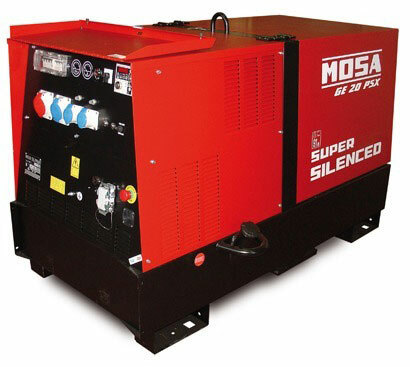 So is the efficiency of these machines, that a 400 amp version is available in single phase. 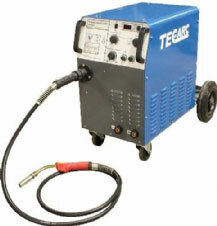 With a choice of single and 3 phase powered machines, they are a good choice for busy industrial welding environments. 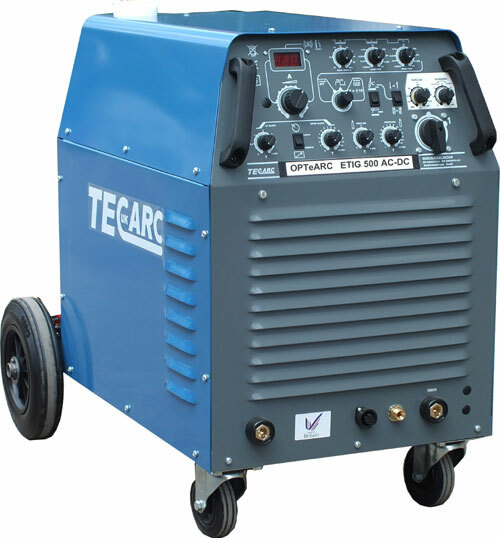 TecArc also guarantee parts and service back up for these machines for a minimum of 20 years. 5 year warranty on the copper wound transformers and 2 years on all other non wear parts. OPTeARC EMIG – TecArc have built the best of both worlds into this range. Rugged build quality and reliability being transformer based with the bonus of inverter functionality and features such as infinite wire speed adjustment. 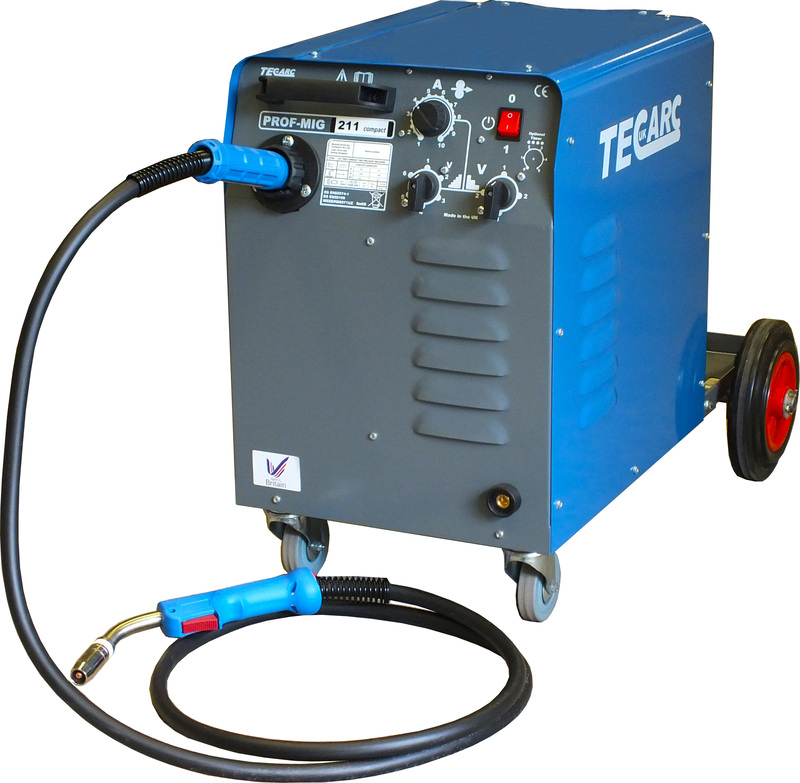 The TecArc EMIG range are also true multi process machines, capable of MIG, TIG and MMA welding processes. Available as compact or with separate wire feeders. 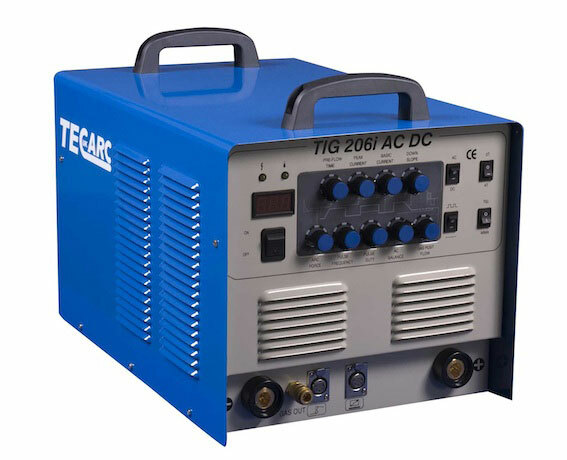 TecFeed Wire Feeders – TecArc produce suitcase wire feeders, perfect for transforming any constant current or constant voltage power source into a MIG welder. 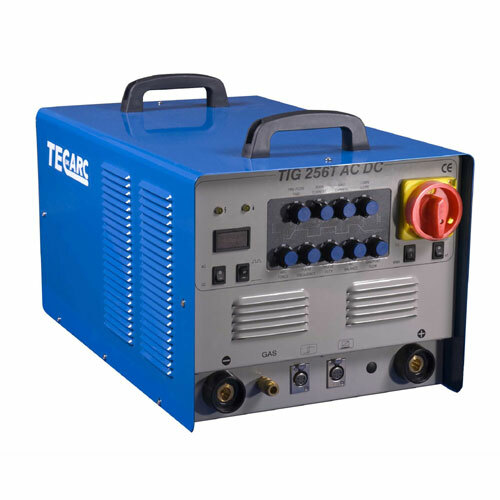 Particularly useful on site, when used with a welder generator to increase welding productivity, these machines are encased in a tough, weather resistant case. 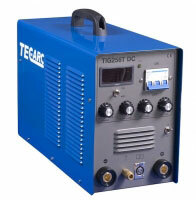 TECTIG – TIG welding machines built using traditional transformer based technology. AC DC versions for welding all metal types or DC only sets. All TecTig machines are dual voltage, meaning single or 3 phase supplies can be used, a particularly good feature if occasionally moving the machine were 3 phase may not be available. 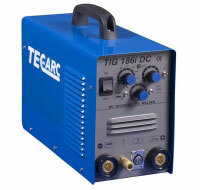 OPTeARC TIG – TecArc have built the best of both worlds into this range. Rugged build quality and reliability being transformer based with the bonus of inverter functionality and features. 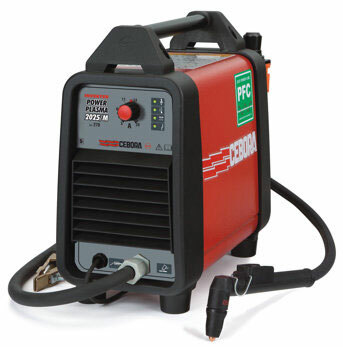 No programming required and almost any welder would be able to get up and running quickly. The hybrid technology used, gives excellent arc starting and a nice smooth stable arc during the weld. If you have any questions, please don’t hesitate to contact us and we will happily talk you through some of the options available with a TecArc welding or cutting machine. Our pricing is very competitive and we strive to offer the best customer service possible.